We’d love your help. 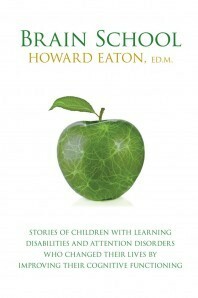 Let us know what’s wrong with this preview of Brain School by Howard Eaton. To ask other readers questions about Brain School, please sign up. The more I read about the Arrowsmith Program and the way it helps children with learning disabilities, the more I really want to find a way to incorporate it into my job. This program needs some more wide-spread awareness and greater inclusion in public schools. A MUST read for anyone who is in the field of Education. Excellent!! I found this book fascinating and essential reading for people interested in or involved with the Arrowsmith program. case studies only, leaves you wanting more information on the actual method.